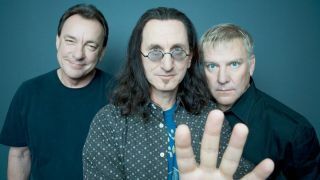 Geddy Lee: Rush have "zero plans to tour again"
Geddy Lee has quashed any small hopes that Rush could tour again together in the future. When asked about the current status of Rush, Lee responds: “Well, I’d say I can’t really tell you much other than that there are zero plans to tour again. “We’re very close and talk all the time, but we don’t talk about work. We’re friends, and we talk about life as friends. I can’t really tell you more than that, I’m afraid. He says: “I’ve been so busy the past three years with the Geddy Lee’s Big Beautiful Book Of Bass book project, which consumed my entire being, that I haven’t been thinking about another music project at this point. Lee’s book will be published on December 4 via Harper Collins and features interviews with artists including John Paul Jones, Adam Clayton, Robert Trujillo, Bill Wyman, Les Claypool and Bob Daisley, while Lifeson also contributes to the 400-page publication. Meanwhile, Rush’s classic 1978 album Hemispheres will be reissued on November 16 to mark its 40th anniversary. Along with the original album, the new version will also include their set from the Pinkpop Festival in June 1979 along with a disc of 5.1 mixes and rare material.